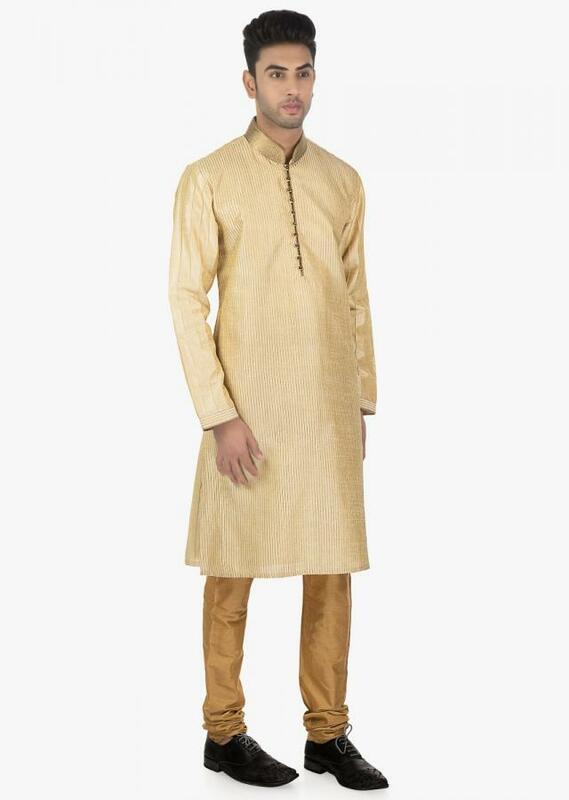 https://www.kalkifashion.com/frosted-almond-beige-pin-tuck-silk-kurta-and-sandal-brown-chudidar-set-only-on-kalki.html 18697 Frosted almond Beige pin tuck silk kurta and Sandal Brown chudidar set only on Kalki https://d8evit4zy2nlo.cloudfront.net/media/catalog/product/f/r/frosted-almond--beige-pin-tuck-silk-kurta-and-sandal-brown--chudidar-set-only-on-kalki-438571_2_.jpg 99 99.0000 USD OutOfStock /Mens Frosted almond silk kurta and Sandal brown chudidar set is sewn to a standard of perfection. 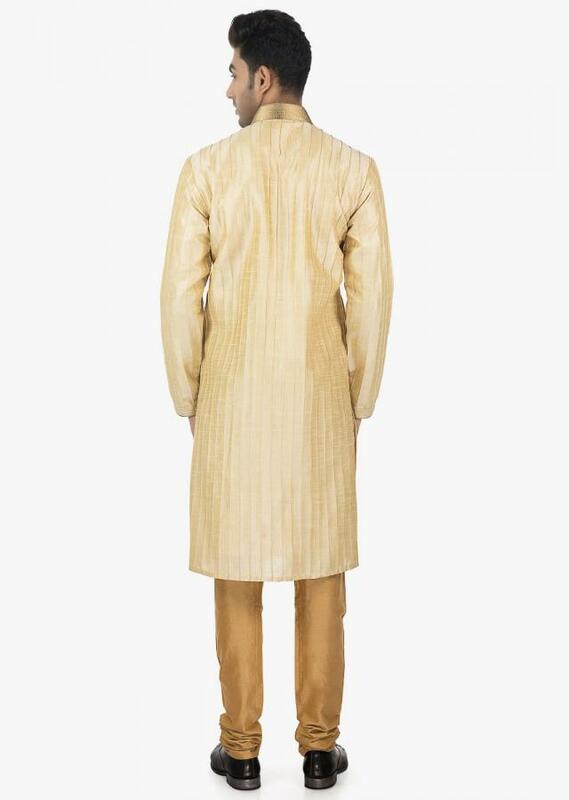 Golden lurex is used to enhance the collar. 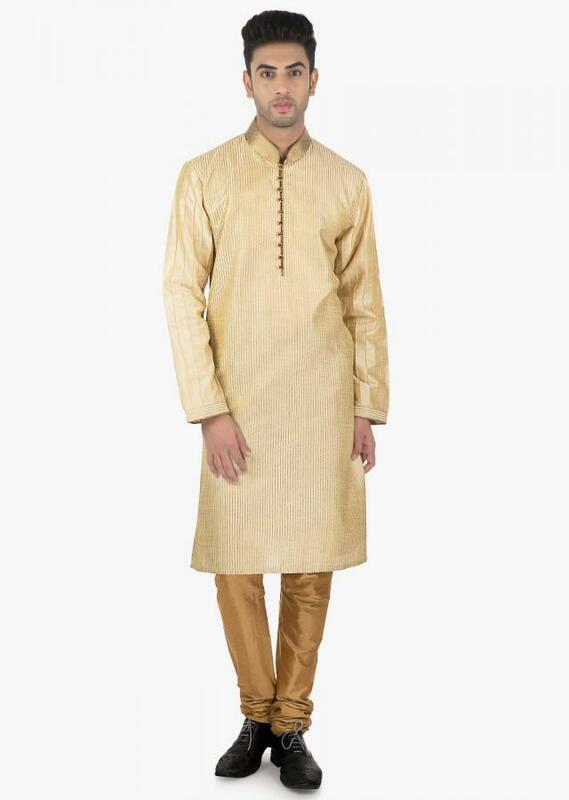 Frosted almond silk kurta and Sandal brown chudidar set is sewn to a standard of perfection. Golden lurex is used to enhance the collar. 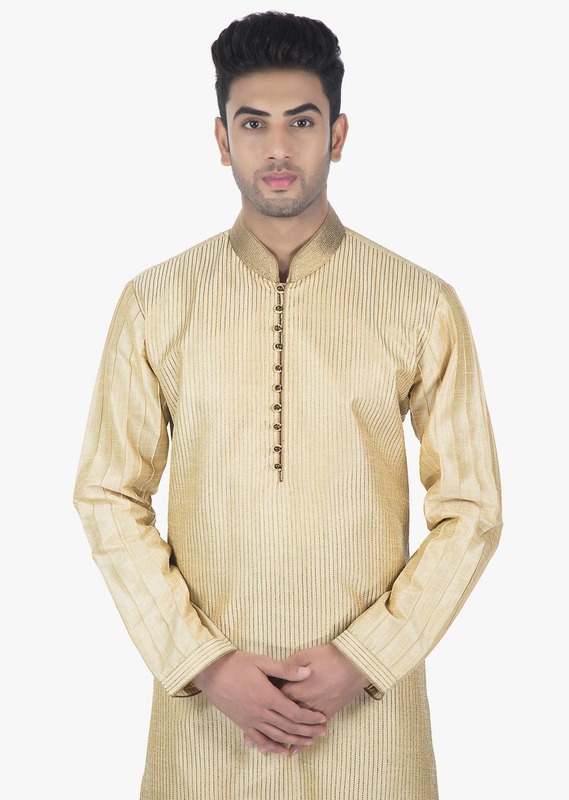 The long sleeves are modified with pin tucks. 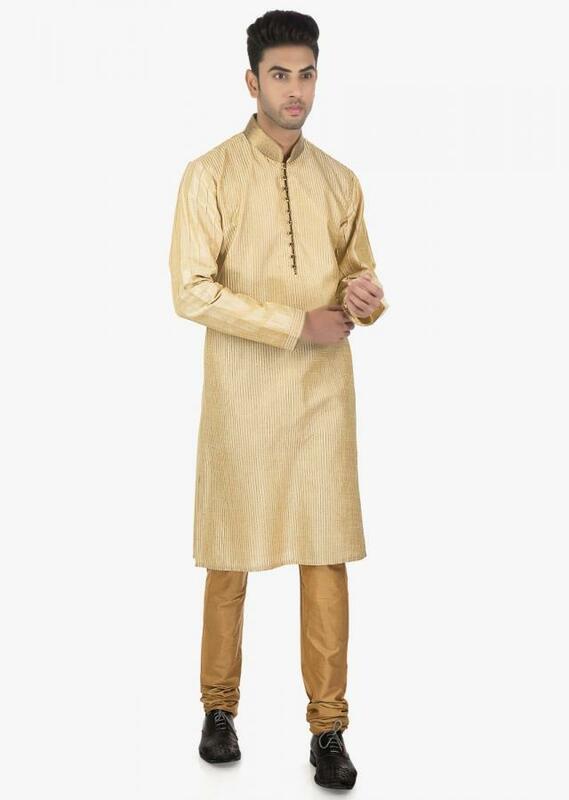 Running stitches all over the kurta makes it more eye catching.